SAN NARCISO, Calif. (Bennington Vale Evening Transcript) -- Authorities in New Orleans escalated emergency procedures Monday as Tropical Storm Isaac barreled toward the Gulf Coast, on track to becoming a full-fledged hurricane. The menacing storm threatens to unleash serious flooding throughout the region on the seventh anniversary of Hurricane Katrina. Meteorologists predict Isaac to make landfall on Tuesday or Wednesday. Not only have refineries closed and evacuation preparations begun, the storm has also impacted the Republican National Convention in Florida. Louisiana Governor Bobby Jindal, scheduled to sing the praises of Mitt Romney at the RNC gathering, had to cancel his trip. And just seconds after declaring the festivities under way, GOP chairman Reince Priebus closed the session, which threw conservative Christian Republicans into a state of panic from the resulting crisis of faith. "Our religious leaders, people like Pat Robertson and Jerry Falwell and Rush Limbaugh, understood that catastrophes such as this are sent by God to punish sinners," a distraught Paul Ryan said. 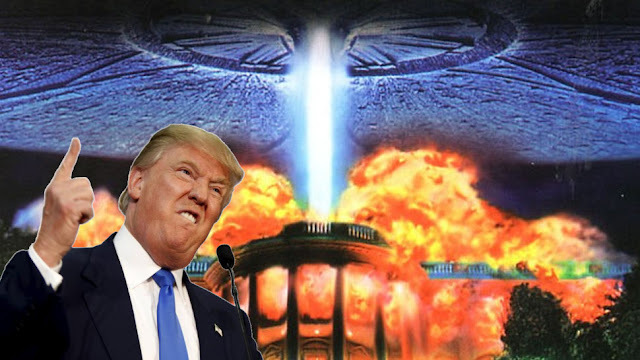 To appease the vengeful deity, GOP delegates are now contemplating desperate actions. Unwilling to accept the recent increase in storm activity as a byproduct of global warming -- best expressed when Rep. Joe Barton (R-Texas) snapped at Speaker Nancy Pelosi that "you can't regulate God!" -- and having acknowledged that natural disasters are manifestations of God's wrath for civil liberties and progressive policies, ranking Party leaders sealed off the venue to plan a series of "Old Testament remedies." "We've done everything we were supposed to. We hated all the right people," Todd Akin told reporters trapped at gunpoint inside the Tampa Bay Times Forum in Florida. "But His displeasure can't be ignored, especially with the symbolism of the name Isaac. We're losing the war against women -- the apple-eating temptresses who got us expelled from Paradise. Our laws allow these inconstant harlots to make choices. Choices like abortion. That's state-sponsored murder!" Other congressmen admitted that they'd failed to do enough to stop the spread of homosexuality. "We've stumbled in the campaign against gay marriage and let President Obama turn the U.S. military into a modern day -- and heavily armed -- Sodom," Akin continued, weeping. Paul Ryan then cited the repeal of DADT as yet another reason to cut funding for veterans and active soldiers. Just two weeks after Hurricane Katrina, Rev. Pat Robertson gave voice to an insidious truth fundamentalist Christians already knew: the devastating storm was the Almighty's way of urging Americans to end abortion and equal rights. Steve Lefemine issued a similar opinion, stating, "In my belief, God judged New Orleans for the sin of shedding innocent blood through abortion.... Providence punishes national sins by national calamities.... Greater divine judgment is coming upon America unless we repent of the national sin of abortion." Other preeminent evangelists pointed out New Orleans' carnality, citing the city's brothels, gay pride events and a decidedly un-Christian culture of voodoo. Presidential candidate Mitt Romney himself weighed in on the issue, explaining that God's ire may also have been provoked by the blight of poverty on the nation. "It's pretty clear in the scriptures that God supports our need for money," Romney said. "His greatest wish is for us to live in prosperity. In Matthew, Jesus tells followers worried about food, money and clothes to 'seek first His kingdom and His righteousness, and all these things will be given to you as well.' Our lack of faith, our failure to follow God's law under the liberal and pagan agenda of the Obama administration has led to the sin of widespread poverty. New Orleans is one of the poorest places around, which means it's one of the most spiritually bankrupt. In order to regain the Lord's grace, the wealthy among us -- the most pious -- must step up and take back America as a nation under God." Delegates sequestered inside the convention center paid particular attention to the name of the tropical cyclone. In the Old Testament, God ordered Abraham to sacrifice his son Isaac as a test of faith. 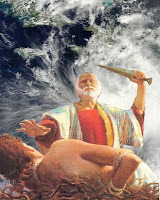 With unbridled chaos breaking out among the frightened crowd, RNC chairs decided that following in Abraham's footsteps would be the only logical recourse available to appeasing God and ending the hurricane. Those individuals with questionable voting records, which cover considerations of sympathy for homosexuals or funding for Family Planning, have been cordoned off into makeshift holding areas. Those who admitted to never having eaten a Chick-fil-A sandwich and those who did not vote to replace the teaching of science with the study of creationism were reportedly sacrificed first. Before Internet communications were suppressed, early Twitter posts from reporters inside estimated the death toll around eight persons. There is currently no indication of how many other sacrificial lambs have been led to the slaughter, but as Isaac continues its ominous trek toward the mainland, it's clear that much more needs to be done.